Expansion starts Monday, April 28th! 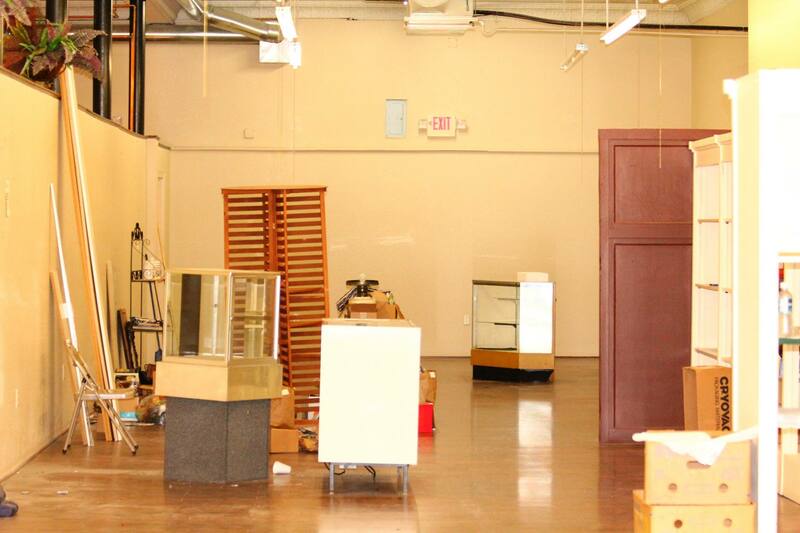 The tenants on the west side of our shop are almost completely moved out so the expansion will begin on Monday! We will start by adding a much needed storage space and two new dressing rooms. Once that is complete, we will be removing two sections of the center wall and cutting an archway into a third section. My goal is to have a Junior side and a Men’s & Women’s side with racks that aren’t so full. I would like to add more home décor items so if you’re looking to consign any small furniture items (I’m looking for current style, unique items or refurbished pieces) please give me a call! More photos and updates will be coming soon. We are very excited to announce that Maggie’s Closet will be expanding in May! We will be removing a couple sections of the current dividing wall, adding dressing rooms, and carrying even more amazing clothing, purses, jewelry, shoes, accessories and home décor items just for you. We are planning to stay open during the remodel so please bear with the disruption. We promise to try and make it as easy and quick as possible. Stay tuned for photos of the remodel coming soon!